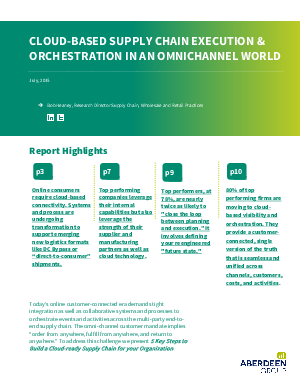 Today's online customer-connected era demands tight integration as well as collaborative systems and processes to orchestrate events and activities across the multi-party end-to-end supply chain. The omni-channel customer mandate implies "order from anywhere, fulfill from anywhere, and return to anywhere." To address this challenge, we present 5 Key Steps to Build a Cloud-ready Supply Chain for your Organization.